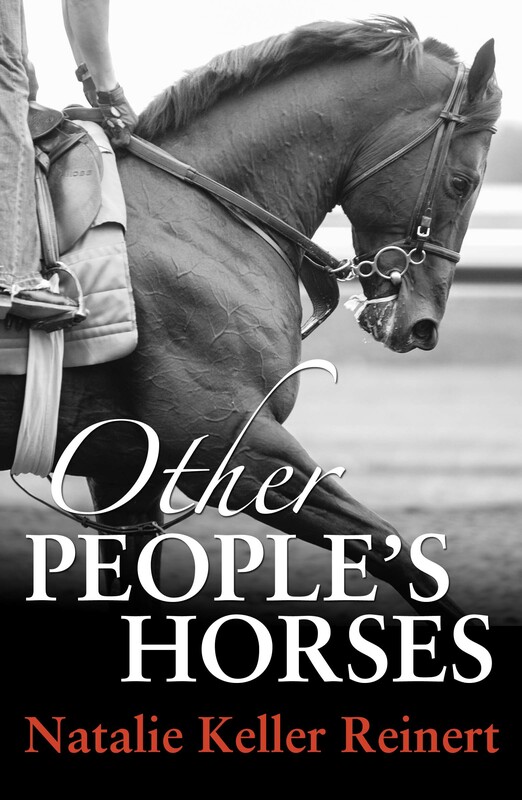 This past week, I released my second novel, Other People’s Horses. 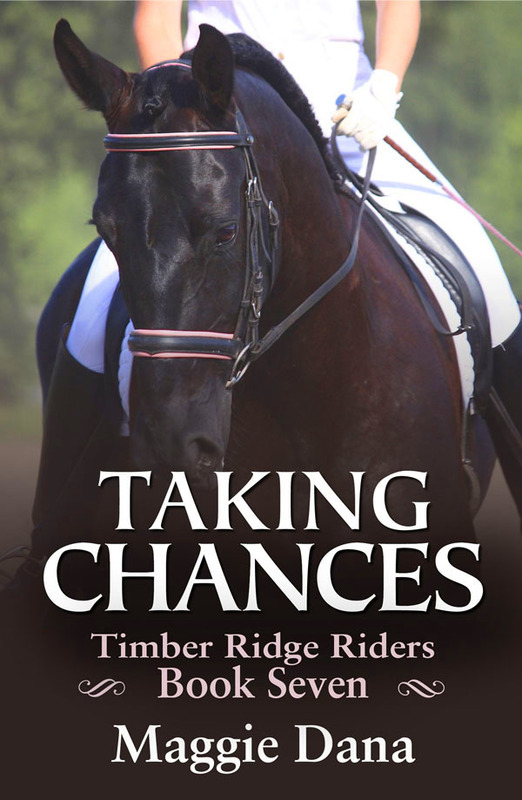 The book revolves around racetrack life, both at the farm and on the backside — in this case, at Saratoga Racecourse in New York — and when I saw Holly Tonini’s photograph on Twitter, I knew it was the perfect image for the cover of my novel. It evokes all the power, strength, and raw beauty of the Thoroughbred racehorse, captured mid-stride on a morning gallop. 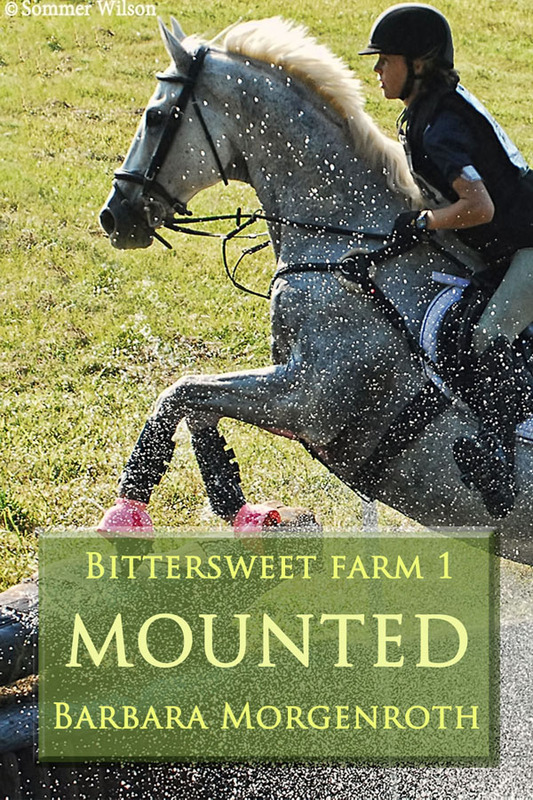 Looking at your website, you have a lot of shots of horses in multiple disciplines. 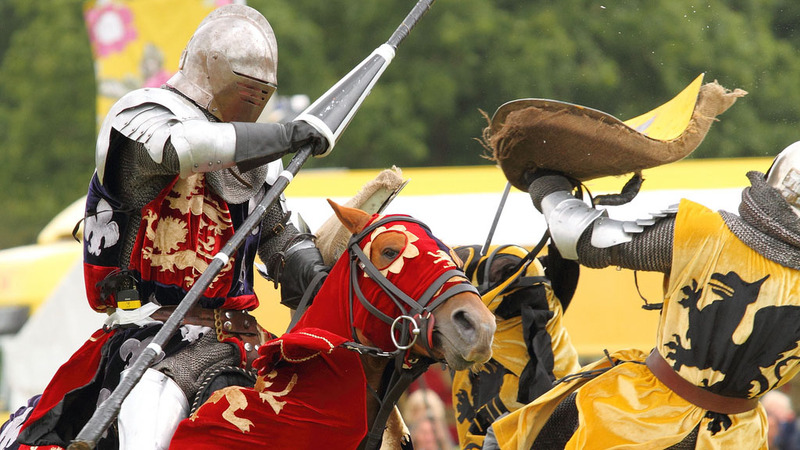 What’s your favorite horse sport to photograph? Oh man, this is a tough question! I love them all. I do have to say my favorites are those with a lot of action. I love the challenge of speed so horse racing is tops followed closely by barrel racing. I love to see the mud flying. There are so many I haven’t gotten a chance to photograph yet. I would love a chance to try them all. What are the ingredients for a great racehorse shot? Which ones do people like best? The naughty horses, the nose-at-the-wire photos, the candid shots? Timing and luck are the two main ingredients for a great racehorse shot. These ingredients are important to a lot of the work I do outside of horse racing too. Timing is knowing your subject. You need to be able to predict what that subject is going to do and at what moment they are going to do it in. Timing is also a part of luck sometimes. The unpredictable always happens and being lucky to be there and capture it is what luck is to me. I think the photos that people like best in horse racing vary. I think the ones that stand out the best are the ones that show dramatic action and ones that show emotion. Those are the ones that get that “wow” response or cause a smile or tears. I think they also enjoy the ones that show how beautiful a horse can be. The portraits. Do you do a lot of riding yourself? I used to do a lot of riding. 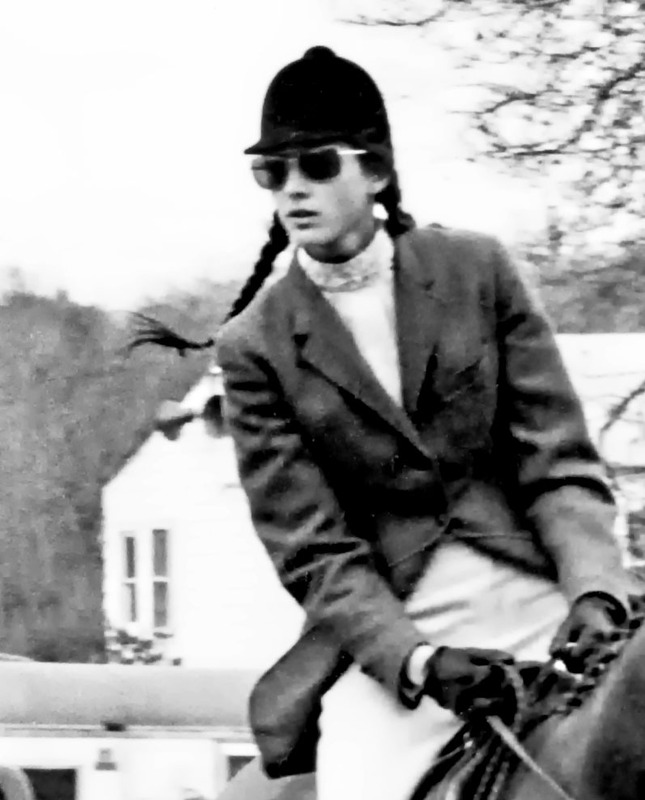 I have been riding since I was placed on the back of a pony when I was two years old. I now own a 17 year old mini pony named Stormy T that I won on a $5 raffle ticket at the local county fair when he was 3 months old. I also own an 11 year old Quarter Horse mare named Rumors that I’ve worked with since the day she was born. I don’t get to ride as much as I’d like but the three of us still find time to have fun doing ground work. What are some goals for your future photography? Right now I’m not sure what my future will be in photography. I am currently back in school earning my Masters degree in Journalism and Mass Communication. I love the work that I do now. I freelance for a local newspaper covering a lot of high school sports and community events. I would love to move more into professional sports and maybe teach a class or two once I obtain my degree. I take everything one day at a time so only time will tell what my next adventure will be. Where else might we see your work? My horse has taken up with a chicken. And I am not okay with that. I laughed too, at first. But my outlook turned fowl one morning a few weeks ago, when I opened the door to Eli’s stall to deliver his breakfast and out came the poultry. She was all legs and breast. And she’d obviously spent the night. Eli hung his head and looked at me sheepishly from the far corner of his stall, clearly exhausted after a long night of … what, exactly? I had no idea. Then it dawned on me she had been stalking him, hoping to catch him on the rebound from his passionate if doomed love affair with the new chestnut mare in the adjacent paddock. The mare had been young and attractive, an off-the-track Thoroughbred like him. Eli had fallen head over hooves for her instantly, whinnying shrilly and deafeningly whenever she was out of his sight. In the sixteen years that I’ve owned him, I’d seen this sort of thing before, at other barns with other horses. 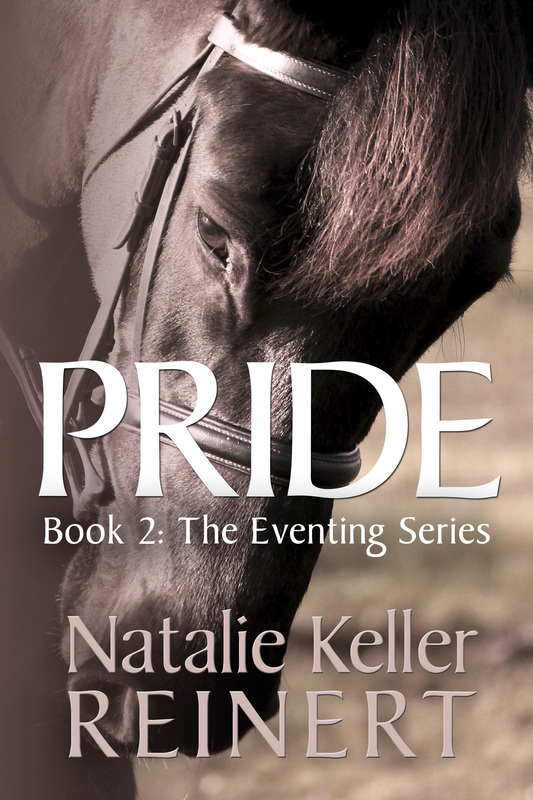 But Eli’s previous loves had been ancient blind ponies and fat, elderly mares, with the occasional gelding thrown in. This was different. For once, he had chosen an appropriate mate. I was kvelling. 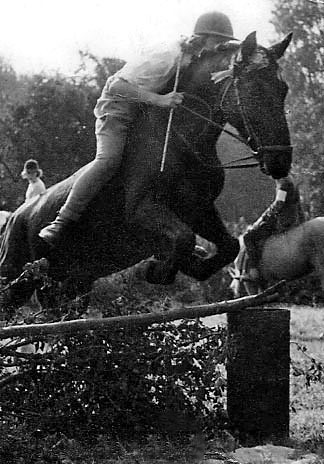 The chestnut mare was sleek and pretty, and best of all, she’d returned his affection in kind, making it doubly painful – to say nothing of loud – when her owner abruptly decided to take her mare home to her own backyard barn. I braced myself for the worst – a hunger strike and major depression weren’t unprecedented – but Eli accepted his soul mate’s departure with infinitely more grace than I. For the first time, I understood why my women friends went into mourning when their sons broke up with potential daughters-in-law whom they, too, had come to adore. Enter the drab little chicken. The mare hadn’t been gone a week when I first heard her successor’s bizarre vocalizations as I groomed Eli in the aisle between stalls. A cross between a moan and a groan, it sounded weirdly sexual, enough so that I put down my curry comb and went searching for the source. I found her right around the corner, scratching for bugs in a pile of spilled hay. She was a dull, rusty brown, not much to look at as chickens go. The last survivor of the barn owner’s original clutch of egg-layers, she was the only one that hadn’t fallen prey to the coyotes that had turned the coop into their own fast-food joint. As days passed, I began to see this feathered jezebel in the barn more and more, scratching and pecking at the bedding in stalls whose occupants were out in their paddocks. At some point, she lost interest in the empty stalls and started cooling her scaly heels in Eli’s. Unprepared though I was for their cohabitation, in retrospect I should have seen it coming. There were signs, little warnings I chose to ignore, like the day I confronted the surreal sight of my 1,254-pound horse watching over a freshly laid egg. To be fair, mine is hardly the first Thoroughbred to fraternize outside his species. Racehorses began “friending” other animals centuries ago, long before Facebook turned the noun into a gerund. It turns out pets are good for horses, which are, after all, inherently social beings meant to live together in herds. Like people, they do better when they have companionship. Racehorses in particular benefit from sharing their quarters, since the bulk of their time is spent idly confined to their stalls. The solitary nature of their lives has given rise to a host of problems ranging from stomach ulcers to bad habits, also known as “stable vices.” Most are repetitive movements, corruptions of normal equine behaviors that have been rendered impossible by life in a stall. For a horse that’s fed highly concentrated grain twice a day, pacing, weaving and wood-chewing help eat up the hours they were meant to spend free-ranging for food. Pairing racehorses with stall mates – goats, pigs, cats, ponies, and roosters – is a longstanding practice among trainers, since contented horses are less apt to pace at night and more likely to lie down and rest, making them better bets come post time. 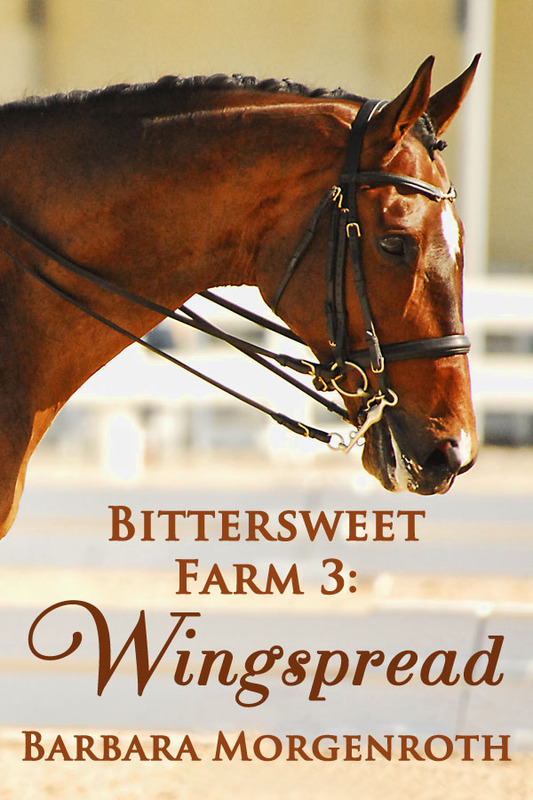 At twenty-two, my horse’s racing days are far behind him. But the need for companionship is one he’ll never outgrow. And good friends are hard to find regardless of species. Who am I to say how his ought to look? So, for however long this lasts, I’m committed to walking on eggshells. A bird in the hand, after all. It wouldn’t be New Year’s Day without taking at least five minutes to contemplate the past year and the one ahead, and so I’m indulging that with a little nostalgia and lot of excitement. 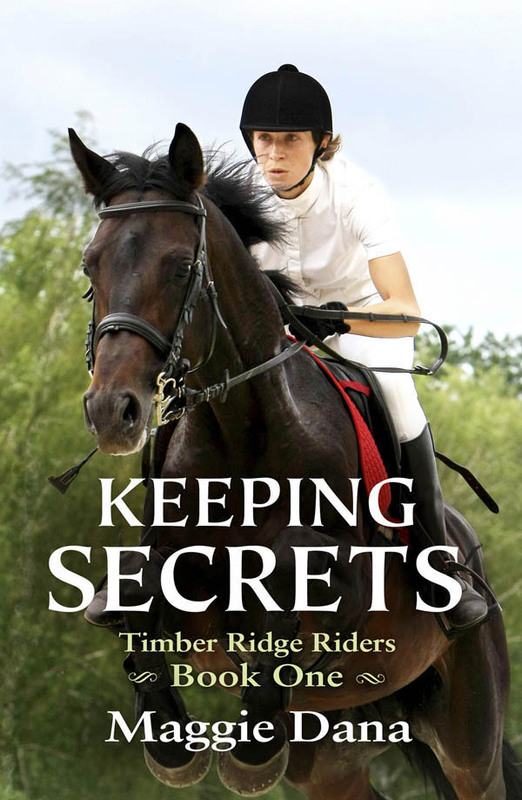 2011 was my first non-riding year, and the first one that I devoted entirely to writing. When I left Florida in 2010, it was with the conviction that I could accomplish more in the world as a writer than as a horse trainer, and I still believe that. Although looking at Thoroughbred trainer listings on a regular basis will always put the idea into my head, at least for a few delusional moments, that I ought to be running a not-for-profit Thoroughbred retraining agency somewhere in the backwoods. That’s not for me, although I am very impressed by the people who do it! You’re all amazing! In 2012 I resolve to get back on a horse at least once, although in what capacity, I can’t say. It might just be to demonstrate a technique to one of the other volunteers at GallopNYC, where I walk horses in therapy lessons every week. It might be for a dressage lesson (or, shall we say, a post-until-your legs-cramp-up lesson). You never know what’s around the corner. But that’s a personal-gratification resolution. Here’s my big one, my promise to the world. I resolve to make a difference to retired racehorses. I know, that’s vague. But it’s January first. Who can say what is going to happen this afternoon, let alone next week, next month, next winter? But whatever opportunities arise, I will take them. Whatever actions I can share with you, I will share. Whatever is going to happen, I am going to embrace it and make something big out of it. Why? Because I love them. I can’t help myself. When I see them at the racetrack, or in a field, or poking their noses out of a semi-trailer on the interstate, or leaping a cross-country fence, or in a photo doing anything, anywhere, I melt a little. When I read a story about a horse who should have been retired properly, and wasn’t, I hurt. They are all my darling children, like the babies I once had on my farm, and I adore them all. I can’t help it. I’m well and truly horse-mad, and the objects of my affection are blood horses. And so that’s my Retired Racehorse Resolution: to make a difference, in whatever way I can.